Apple’s gone ahead and thoroughly given the native iPhone experience a massive facelift with iOS 6. While these updates might feel rather incremental, the amount of increased functionality with the coming upgrade is fairly impressive. While it’s inevitably good news for users, it can be a source of anxiety for third party developers. A new OS means that Apple could easily make a play for their market, baking native use right into the iPhone and iPad itself, challenging their turf essentially. It doesn’t mean death or obliteration, it just means increased competition – not to mention that it’s coming directly from the source that controls the entire ecosystem. 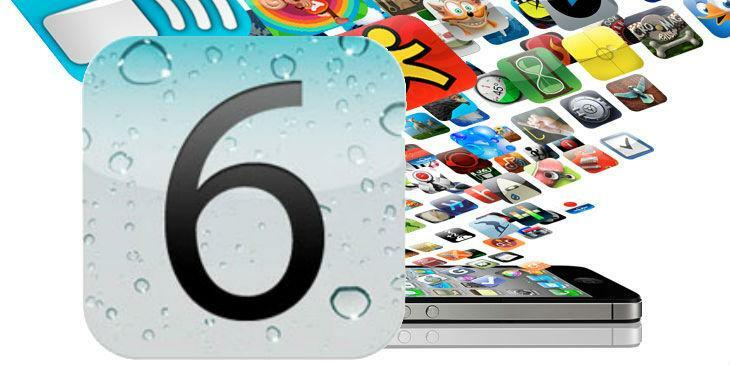 With that in mind, what specific apps will be facing a little heat from iOS 6? 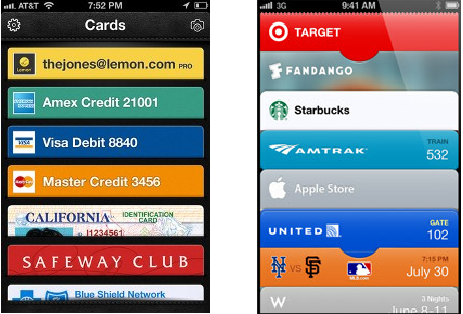 Passbook is one of the more notable additions to the iPhone, and a rather unexpected one. The loyalty card management system will hold all of your e-money accounts in one place, without accessing your bank or credit accounts. It’s not an all-encompassing solution, but it is an attractively simple, built-in one, and that’s always a way to win over early adopters to the digital wallet market – and there are plenty of early adopters yet to be had. 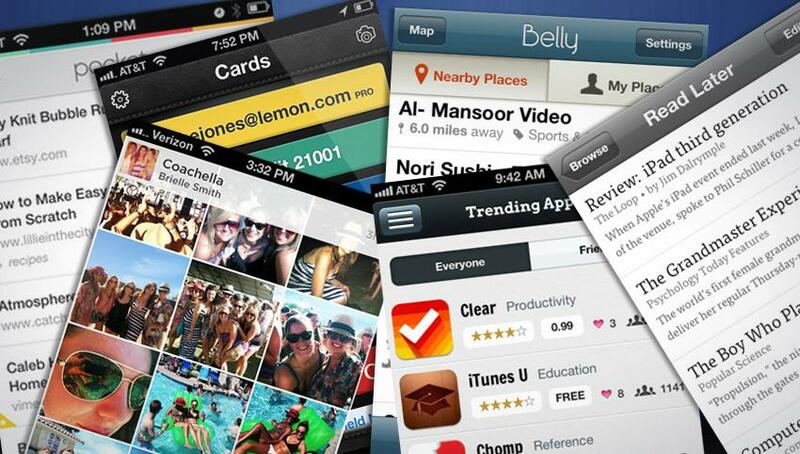 Belly functions closer to Passbook. The app works on the merchant end and the user end, and the app lets you collect points for your loyalty toward retailer-deemed prizes. It works for non-smartphone use as well: you can use a physical card with a QR code to replace the digital version. Still, it requires effort on the part of retailers, who might just be content to defer to Apple’s native solution. It never fails to surprise me how active the bookmarking biz still is – that seriously seemed like a tool that would get a more magnanimous makeover. Still, plenty of apps have managed to create their own bookmarking, read-it-later solutions. Apple included: Safari will now include support for offline reading, meaning popular apps Instapaper and Pocket could take a hit. Instapaper, available for Web and mobile, has very quickly become one of the most well-used utility app solutions out there and it’s sophisticated enough to easily compete with the new Safari functionality. You can browse what your friends have saved, view recommended articles, and has built in Tumblr, Twitter, Facebook, Pinboard, and Evernote sharing. Additional features like adjustable fonts and dictionary lookup still give Instapaper some pull over Safari. 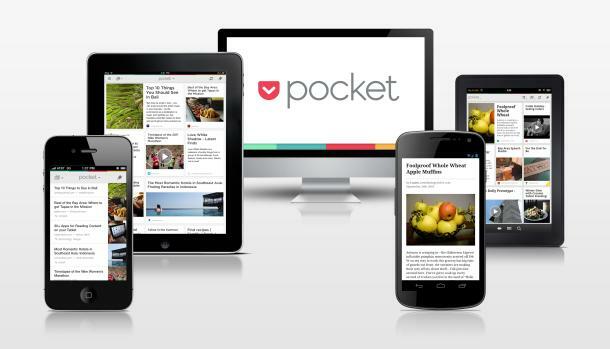 Pocket (formerly Read It Later) has many of the same capabilities that Instapaper does – like font choices and offline support, as well as the option to save from other apps, not just the Web – to keep it relevant. If I were Pocket or Instapaper or any other major bookmarking systems, I wouldn’t feel too threatened by the Safari upgrade. People want to share their bookmarking lists across their devices, and Safari is far from the most popular desktop browser, so a third party solution makes more sense. The last thing this world needs is another private photo sharing app, but we’re getting one with the new iOS 6 updates to Photo Stream. Even though we have plenty of options as is, Apple desperately needed to add functionality to Photo Stream because it’s been fairly useless for a lot of us. If you don’t use other Apple electronics, then you’re out of luck with Photo Stream. Now you can pick and choose from your stream to share what who you want (provided they have an iOS 6 device plus iCloud or a Mac running Mountain Lion), comments will be available, and the ability to create a Web album. Facebook, Instagram, and Flickr need not worry – at all. These platforms will continue to see mass image uploads. 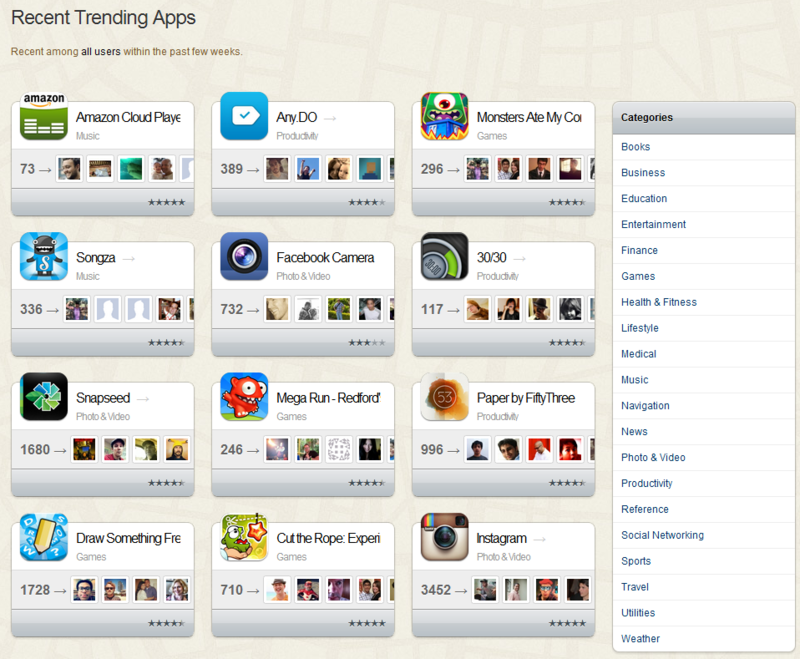 Smaller apps for select sharing, however, like Shoeboxes and Batch might see some new competition though. Shoeboxes is a product of 1000Memories, and the option to ship your physical photos off for someone else to scan is a nice service that still sets it apart. There’s also the Batch app (compared to Photo Stream below; Batch is on the right), which is probably closest to what the new Photo Stream will do, minus proprietary Web hosting (you can push photos en masse to Twitter or Facebook). It’ll be interesting to see if the new function makes Photo Stream the go-to for mass photo sharing, but I doubt it. Android’s growth simply means you’re leaving a certain amount of your contacts out of the loop. That said, no developer has launched a truly cross-platform, cross-device single solution for selective photo-sharing that’s managed to really grab users yet. This will be short and sweet: with much adieu, Apple has parted ways with Google Maps. 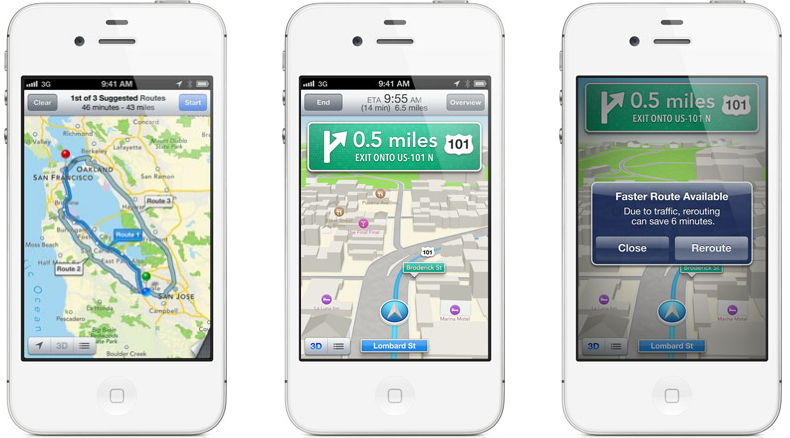 Now, the native GPS and mapping experience will be all Apple, and it remains to be seen if Google has a chance in hell. Surely, the Google Maps with Navigation app that’s available for Android will soon have an iOS counterpart for the faithful handful that have an iPhone but still want to use Google products. So how will it fare? Probably not very well – on the iPhone at least. Google Maps will continue to rule the Web and Android, obviously. Of course, if Apple’s Maps fails to get users to their destination points at first, then I could imagine a mass exodus to a third party option rather quickly. Apple desperately needs to do something to fix the App Store. Attempts at discovery are pointless and recommendations non-existent. iOS 6 makes a feeble attempt to weave this in with Facebook. The long-anticipated integration with the social network will weave in app Likes to give users some perspective on their friends who have downloaded an app. One of if not the best current solution Crosswa.lk, which is available via Web and iPhone, could face a little competition since it also leverages what your Facebook friends are downloading. But I wouldn’t worry much at all if I were Crosswa.lk: it’s a much more refined, fully-featured way to navigate app selection than a “You have 7 friends who downloaded Yelp” notice.